When Stefan Salvatore's first love turned him into a vampire, his world - and his soul - were destroyed. 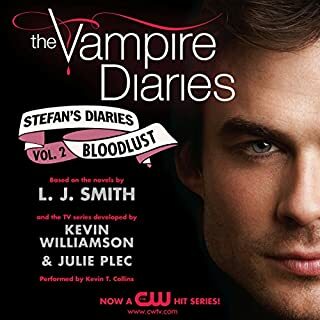 Now he and his brother, Damon, must flee their hometown, where they risk being discovered...and killed. The brothers head to New Orleans, looking for safe haven. But the city is more dangerous than they ever imagined, full of other vampires and vampire hunters. Will Stefan's eternal life be forever damned? 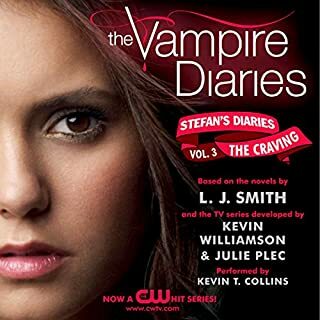 After his brother, Damon Salvatore, betrays him in New Orleans, Stefan starts over in Manhattan. Vowing never to harm another human, he roams the streets, trying to disappear into the city’s chaos. But just when he thinks he’s left his past behind, Stefan discovers that he can never escape his brother. Damon has grand plans for the vampire Salvatore brothers - whether Stefan likes it or not. Together, they take New York by storm. When their exploits end up on the society pages, an old enemy resurfaces - one hell-bent on revenge. Great book, very clear and nice to listen too highly recommend, also have other books in collection, brilliant.